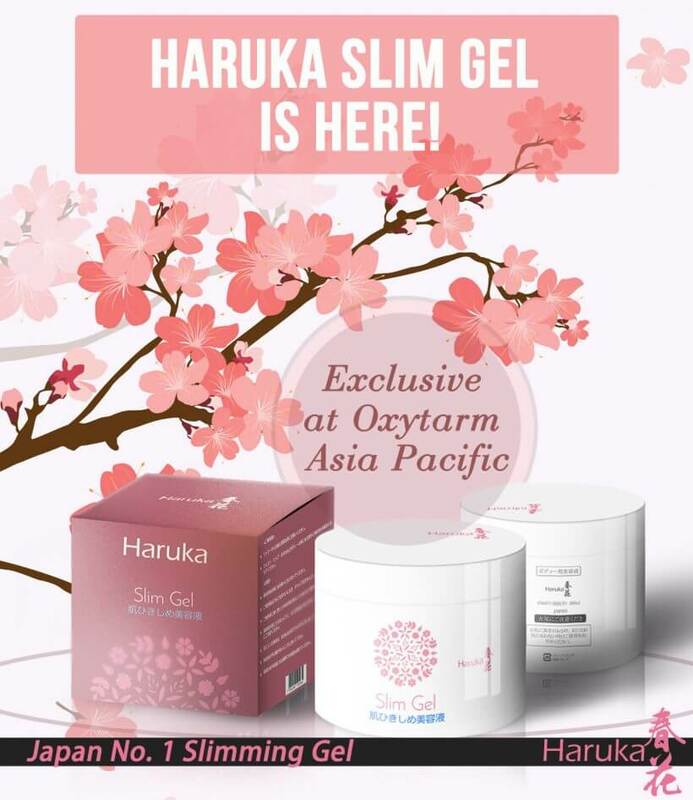 Fats around the belly, hip and thighs are excess sugars that is unused by the body. 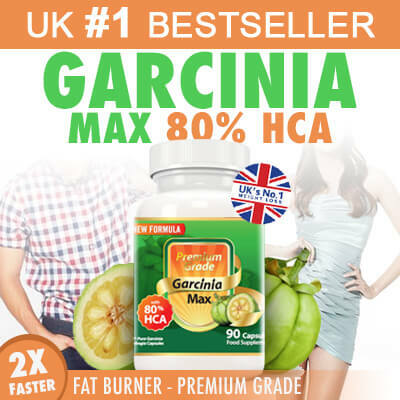 They are accumulated daily, when you eat sugar which are found in almost everything, rice, noodles, bread, cakes, muffins, potatoes, pasta and sweet tasting drinks, etc. 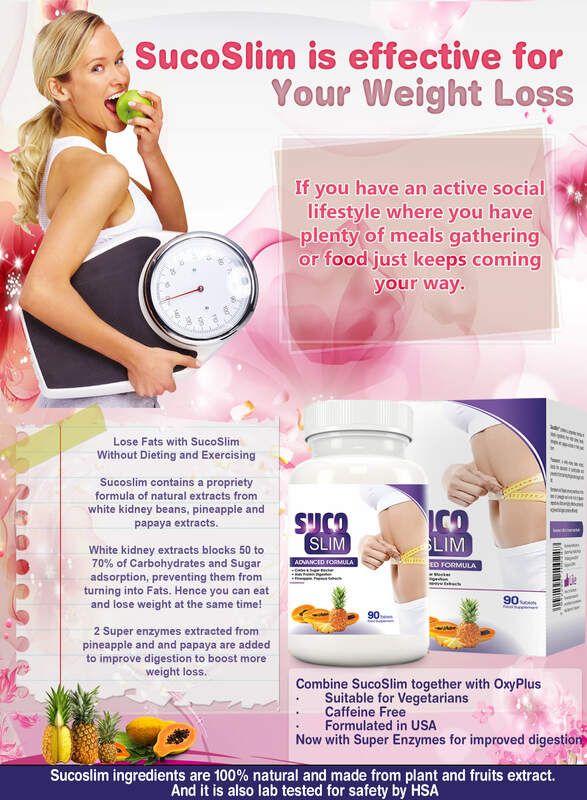 Having an active social lifestyle? Gatherings where you meet friends, family and clients over meals? Food keeps coming your way and/or you are a carbs/sugar lover? If you are already on low carbs diet, protein dominant diet or reach weight loss plateau stage with exercise or any form of dieting? If you gain weight due to stress or emotion eating? 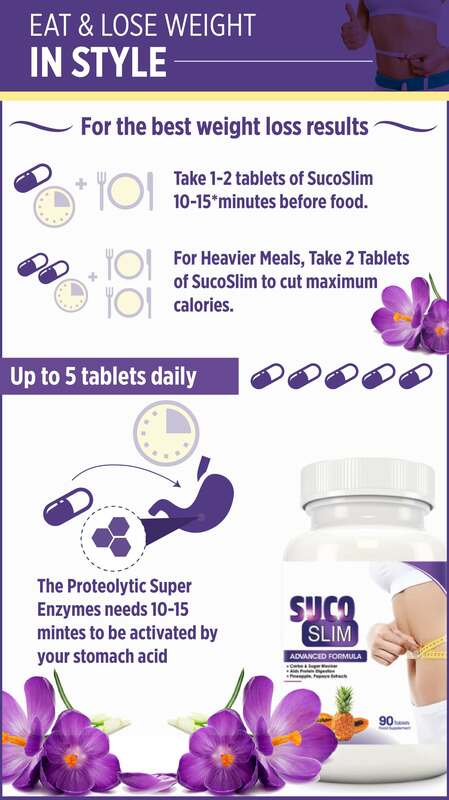 Boost your weight loss further with SucoSlim! Your the occasional binge/indulgence is forgivable! 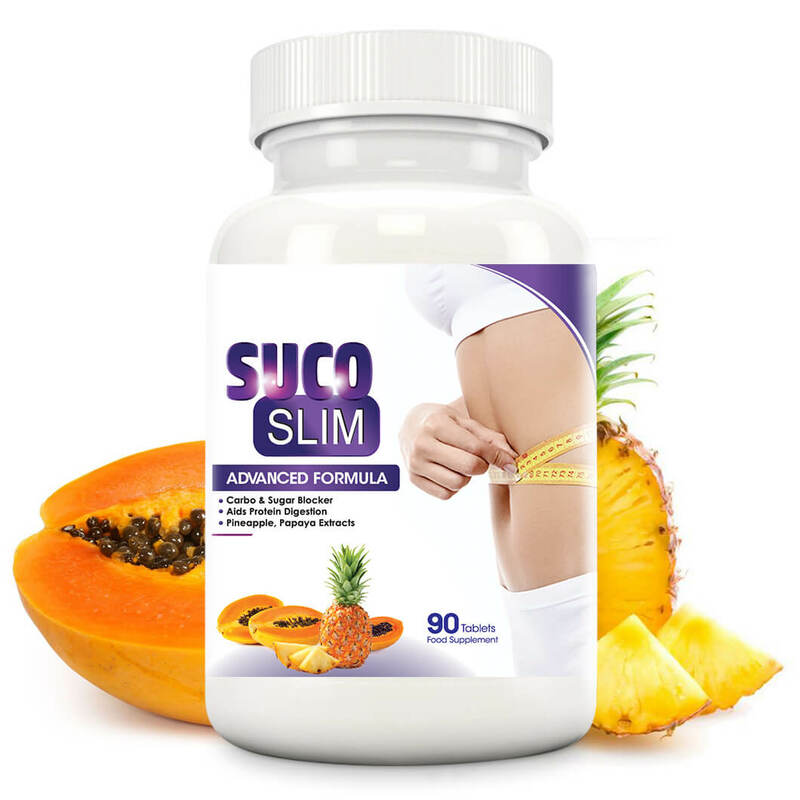 SucoSlim contains a propriety formula of natural extracts from white kidney beans, pineapple and papaya extracts. 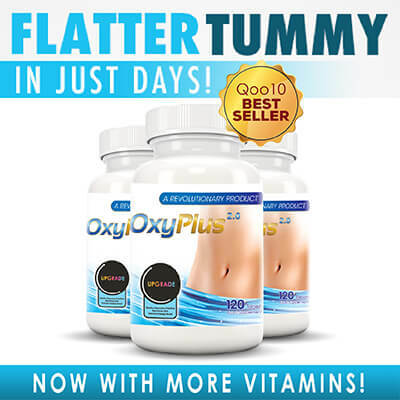 Phaseolamin (white kidney beans extracts) blocks the absorption of carbohydrates and sugars by preventing it from turning into glucose (sugar) and fats. It inhibits the body’s alpha‐amylase activity. 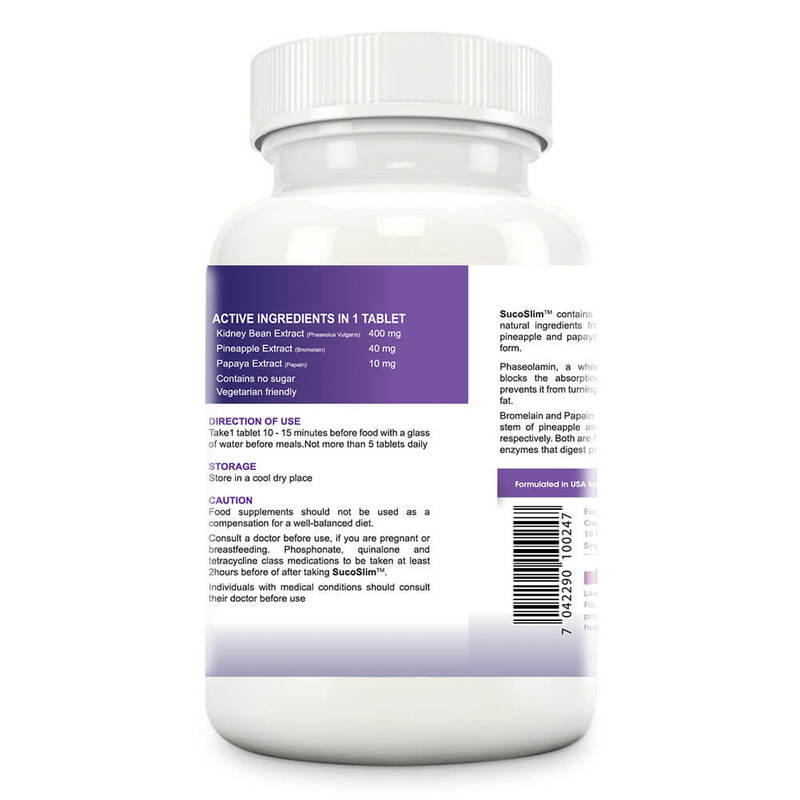 Alpha-­amylase is an enzyme produced by the body digest dietary carbohydrates into sugar. 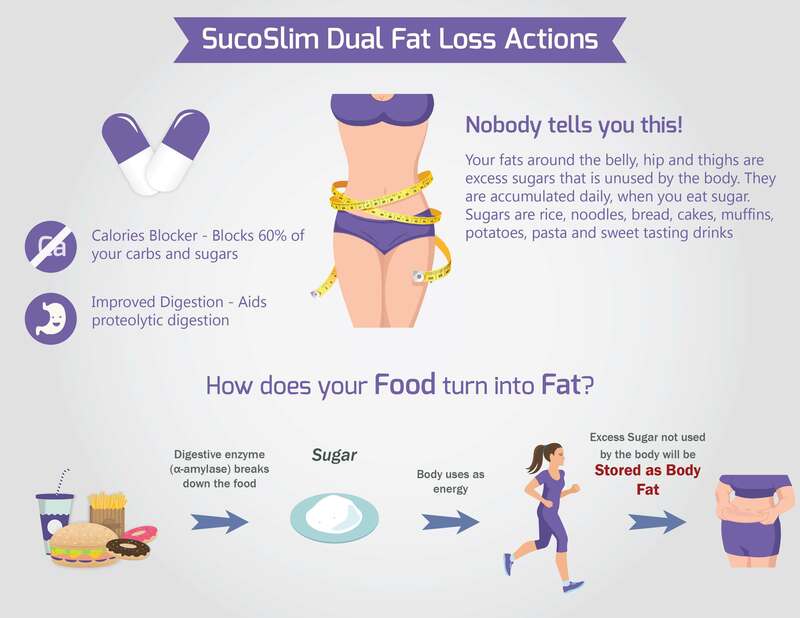 SucoSlim prevents the breakdown of carbohydrates into sugar so less sugar is stored as fat. Papain is an enzyme from the fruit of the papaya. Both are effective proteolytic enzymes that help to digest proteins. 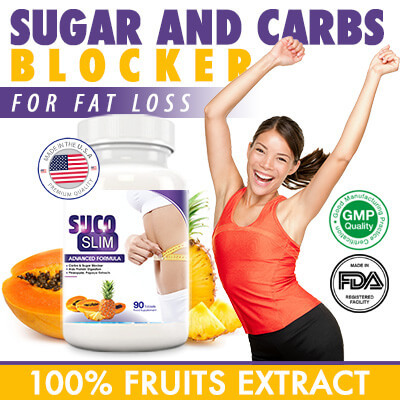 2 reviews for SucoSlim – Blocks Carb & Sugar, 100% Fruit Extracts! I am a stress eater, whenever i feel my life abit faster pace, i tend to over eat. Just 1 week after this, I can say my “stress cravings” are gone. I am able to think before I eat and I don’t have that “pang” for good. I feel full and satisfied. Love this stuff. So thankful for it. 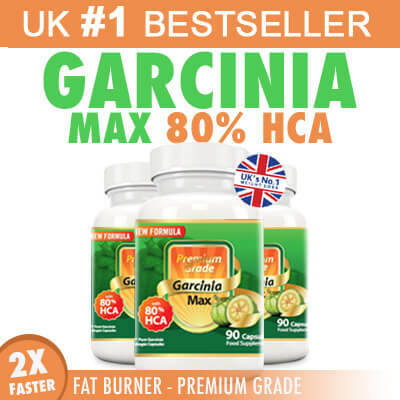 I loved that it didn’t make me feel jittery and I still lost 3kg over the period.. That was a definite Winner for me. It works well! Sucoslim for my carbohydrate blocking and Soursop for my health. Been taking this for a long time, never regret!